SCIENCE CONSISTS of following evidence in seeking truth. This succinct characterization comes from comments made by Rush Holt, in his editorial “Democracy’s Plight,” in Science, February 1, 2019. 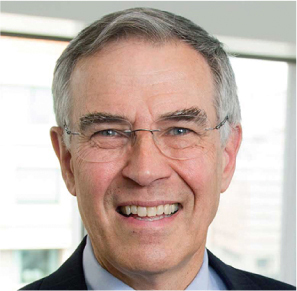 Rush Holt, chief executive officer AAAS and executive publisher of the Science family of journals. Photo by Chet Susslin in Science, February 1, 2019. The Wall. Although Holt cites no particular example, I offer the National Emergency of the Wall. There is plentiful evidence against this being anything resembling a national emergency. For example, the Pew Research Center published “5 Facts About Illegal Immigration in the U.S.,” in November 28, 2018. 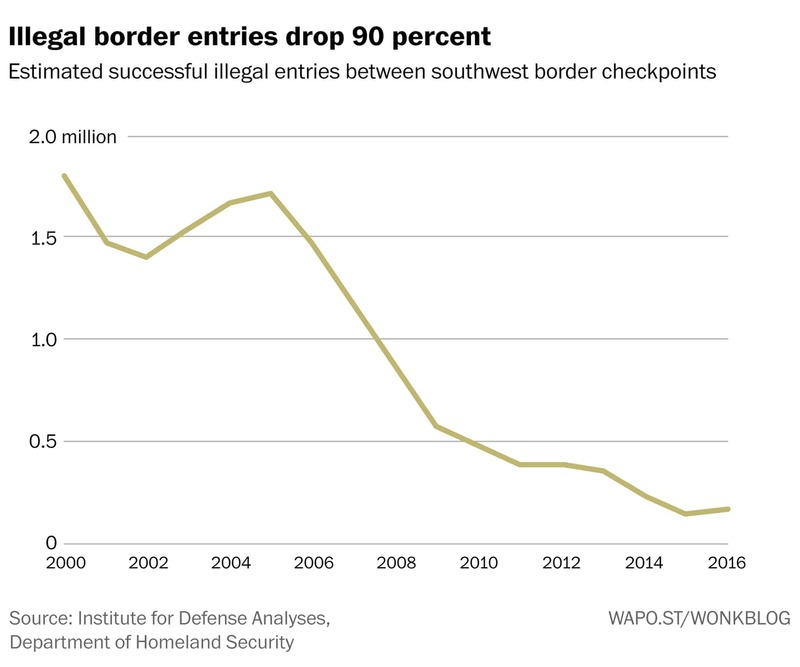 In particular, the trend of illegal immigration is declining, not rising. 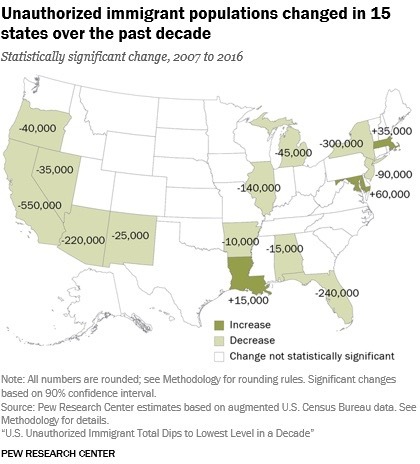 The three states in which unauthorized immigrant population rose from 2007 to 2016 were Louisiana, Maryland, and Massachusetts. 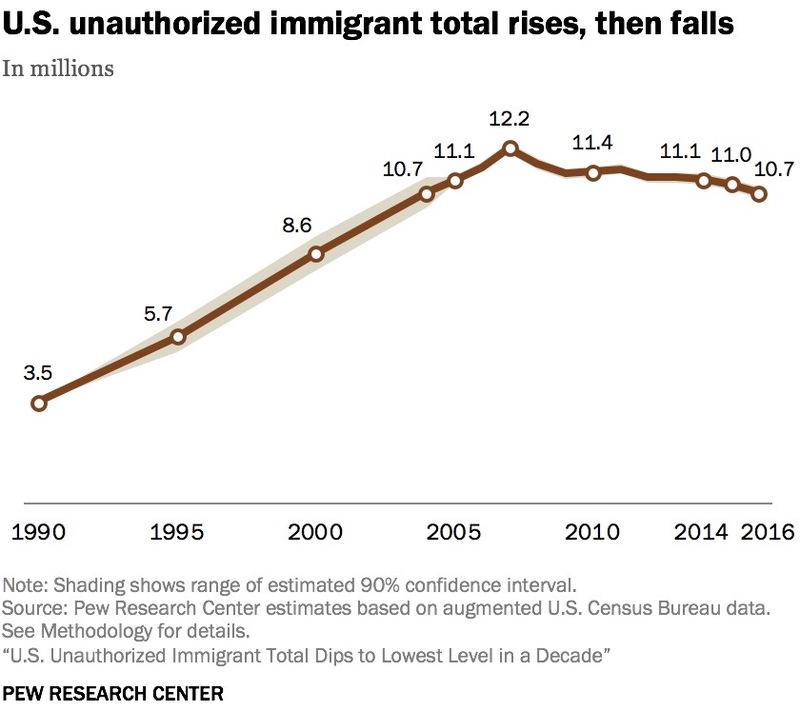 According to The Washington Post, June 25, 2018, “Most Immigrants Who Enter the Country Do So Legally, Federal Data Shows.” That is, illegality is often caused by overstaying visas, not by evading a border wall. Yet, this evidence is ignored in a constitution-challenging executive branch usurpation of congressional powers. Image from The Washington Post, June 25, 2018. 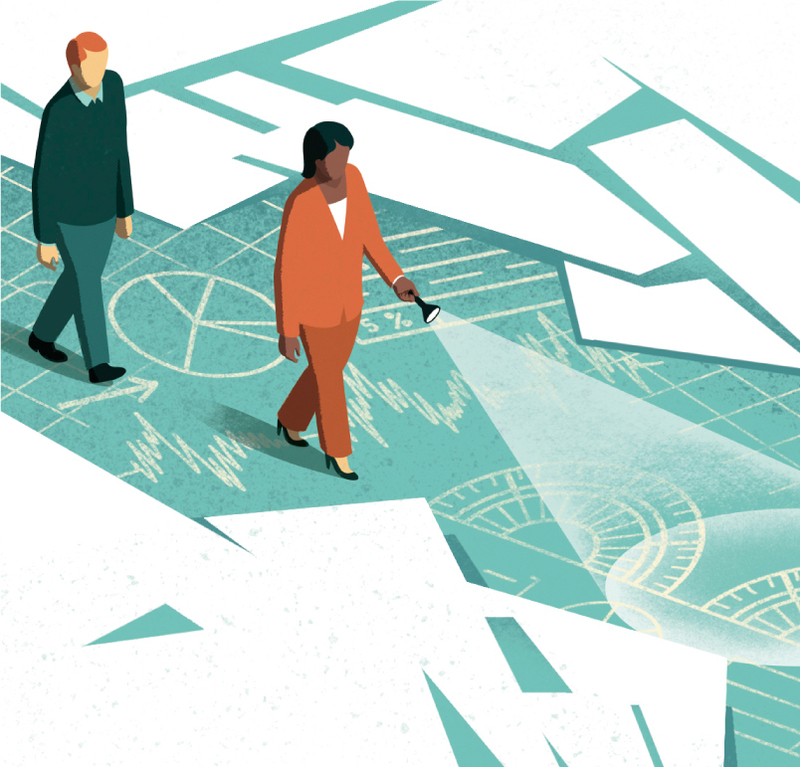 Illustration by Davide Bonazzi/Salzman Art in Science, February 1, 2019. 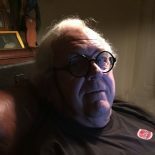 This entry was posted on February 19, 2019 by simanaitissays in And Furthermore..., Sci-Tech and tagged "5 Facts About Illegal Immigration" Pew Research Center, "Democracy's Plight" Rush Holt AAAS, "Truth Decay" dismissal of expertise and neglect of evidence, AAAS Science magazine, illegality comes with legal entry followed by overstayed visa (not border run), science encourages people to think --to seek evidence.